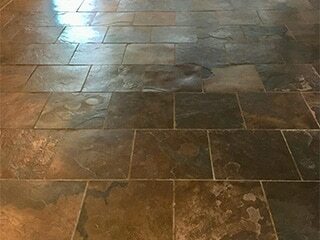 We clean and seal Travertine, Slate, Marble, Flagstone and more. Restore, renew and protect your floor. Arizona is one of the fastest growing states in the United States and we need durable flooring to keep up with us. But we dont want to sacrifice beauty and style. With stone flooring you dont have to sacrifice anything! What could be more durable than stone? There are numerous types of stone to choose from, and each type has different properties that make it suitable for different uses. 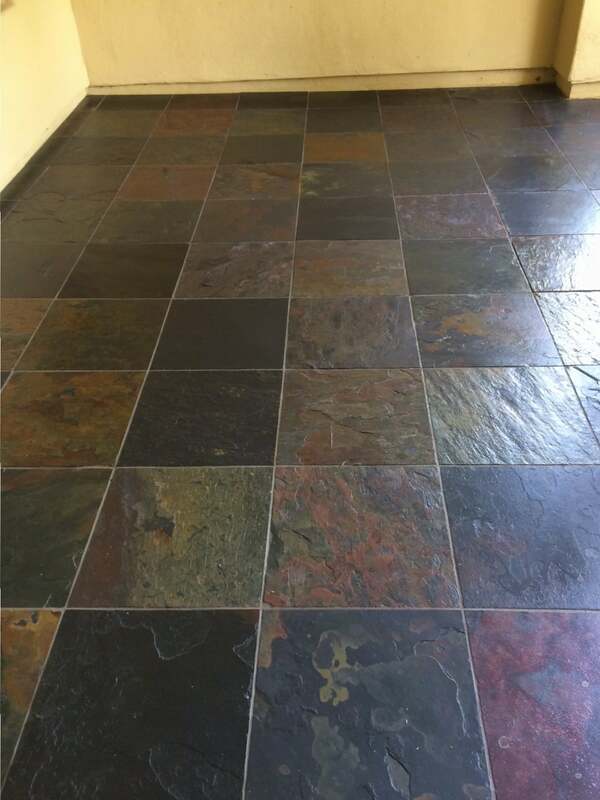 Slate is somewhat less expensive than some other types of stone flooring and is quickly becoming a favorite. Slate has a textured appearance that can add rustic, natural beauty to your home. It is naturally resistant to water, which makes it a great choice for use in an entryway, kitchen, bathroom, or for outdoor areas. Since slate is a natural stone its surface is filled with clefts and ridges, which make it perfect to prevent slipping around a swimming pool. But slates dull finish gives it a dull dusty appearance, which is why enhancing and sealing your slate will bring out its beauty. Another type of stone that is popular in homes today is granite. The most common types of granite finish are; polished, which is often used for countertops and walls, and honed and thermal finished tiles. Light colored granite must be sealed or it is vulnerable to stains. No flooring material can compete with the durability of stone. Many types of stone are practically indestructible. If they begin to look dull and drab, we can perform deep cleaning to eliminate deeply penetrated dirt and stains. 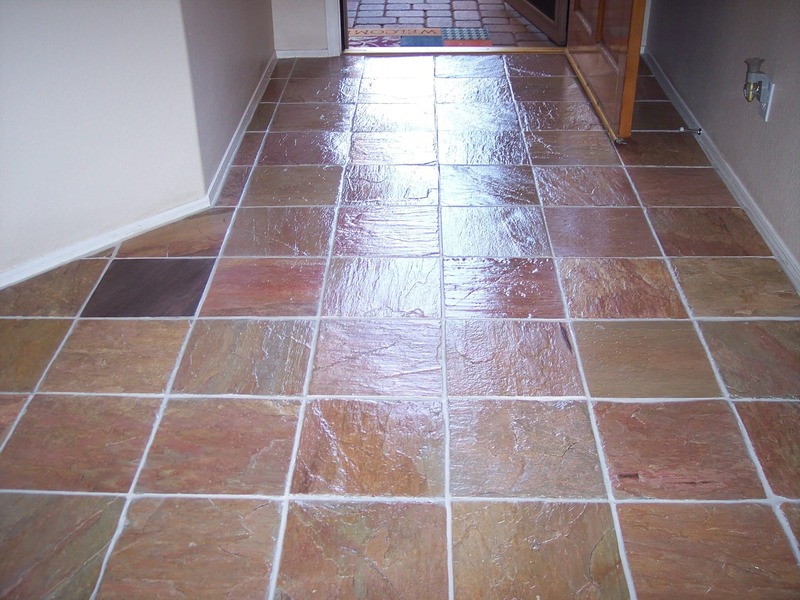 We can also enhance your Mesa stone floor, which seals it at the same time, while restoring a glowing shine. Enhancers are designed to darken and bring out the colors in natural stone. If the grout is discolored and stained or, if you wish to change the color of your grout, it can be fully restored with Gilbert color sealing. This process will remove stains and prevent any further staining of the grout. With proper care and cleaning, stone tile floors should last a lifetime.